Two years ago, Chicago was the scene for one of the biggest crimes in Ryder Cup history: the Meltdown at Medinah. Maybe it was fitting given the Second City was home to Al Capone, the most infamous gangster in American history. While Capone was busy running Chicago in the 1920s and '30s, Scarface was an avid golfer at Burnham Woods, a nine-hole course across from his Chicago-area home. Capone wasn't the best golfer, but he always gambled for a lot of money, making it tough to compete with some much on the line. 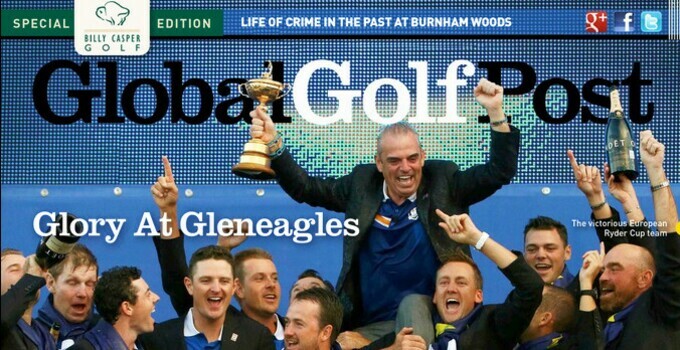 Read the story in this week's Global Golf Post, which includes a full recap of the European Ryder Cup win at Gleneagles, marking three-straight losses for the U.S. side.